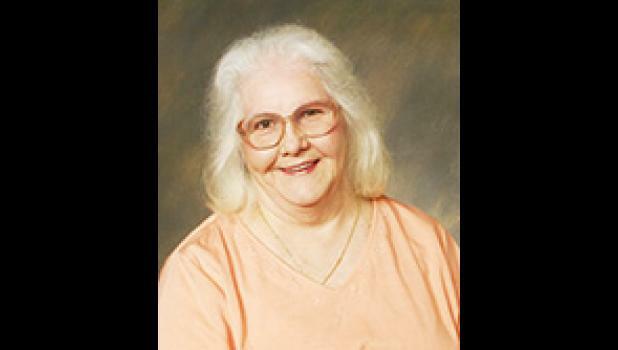 Mary Edith “Edie” Holt Wood, 76, widow of Milton Eugene “Gene” Wood, resident of Greer, SC, died Friday, October 19, 2018 at Greenville Memorial Hospital. A native of the Beech Creek Community in Wayne County, Tennessee, she was a daughter of the late Grady Elmer Holt and Velma Viola Davis Holt, a graduate of Frank Hughes High School 1960, a surgical technician, owner of Edie’s Florist, a retiree of Sagem Lucas, a Christian and member of Pleasant Grove Baptist Church. Surviving are four sons, Jeff and Eric Wood both of Greer, Greg Deese of Charleston and Brian Deese of Waynesboro, Tennessee; one brother, Elmer Holt of Greer, SC; five grandchildren, Jennifer Wood, Jeffrey Wood, Parker Wood, Dylan Wood and Spencer Deese; and two great-grandchildren, Hunter Deese and Matthew Deese. She was also predeceased by sisters, Lena Evelyn Holt and Vera Irene Holt. Funeral services were held 4 p.m. Sunday, October 21, 2018 at Pleasant Grove Baptist Church, conducted by Rev. Todd Johnson. Burial followed in the Mountain View Cemetery. Visitation was held 2:30-3:45 p.m. Sunday at the church prior to the service. Memorials made be made to Pleasant Grove Baptist Church, 1002 S. Buncombe Road, Greer, SC 29651.